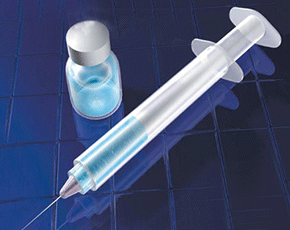 Arthritis News : Vaccinations in RA: Stay Healthy! Home / Arthritis News / Vaccinations in RA: Stay Healthy! Vaccinations in RA: Stay Healthy! Vaccinations are a critical component of RA clinical management, and their importance in preventing infection cannot be stressed enough. The majority of patients with RA are on immunosuppressive treatment, and a data driven approach to vaccinations in this high-risk population is essential. In Arthritis News on 2/28/10 [“Immunization Responses with Rituximab Explored”] we reviewed two studies that explored immunization responses after influenza vaccination among RA patients being treated with rituximab. It was concluded that patients should not be vaccinated around the time of rituximab infusion to ensure maximal response. Below we summarize a recent study [Coulson E, et al. Pneumococcal antibody levels after pneumovax in patients with rheumatoid arthritis on methotrexate. Ann Rheum Dis 2011;70:1289-1291] that measured the response to the vaccination for Streptococccus pneumoniae in RA patients on methotrexate over a 10 year period. The pneumovax vaccine prevents severe infections from a virulent bacterium (Streptococcus pneumoniae) that can cause pneumonia, meningitis, sinusitis, and other serious infections. This vaccine is currently recommended for children, adults ≥65 years old, adult smokers, adults with asthma, and any adult with a chronic disease that lowers the immune system or who is on medications that lowers the immune system (http://www.cdc.gov/vaccines/vpd-vac/pneumo/default.htm#notvacc). A one-time re-vaccination with pneumonvax five years after the first dose is recommended for: 1) individuals <65 years at highest risk for serious pneumococcal infections or who are likely to have a rapid decline in antibody levels (patients on chronic immunosuppression and corticosteroids are included in this group), and 2) individuals ≥65 years old who received their first dose for any indication when they were <65 years old (http://www.immunize.org/askexperts/experts_ppv.asp). To be included in the study, patients had to meet the 1987 criteria for RA and be on a stable dose of methotrexate for >12 months. The following data were collected for each patient: dose/duration of methotrexate therapy, dose/duration of steroid therapy, pneumovax status in preceding 10 years (date of administration), and the presence of serious pulmonary infections in the preceding 10 years. All patients had blood drawn to determine pneumococcal antibody levels. 180 consecutive outpatients with RA were identified, although reliable vaccination data was only available on 152 patients and these 152 individuals were included in the final analyses (vaccinated = 124, non-vaccinated = 28). No correlation was found between pneumococcal antibody levels and methotrexate dose (r= -0.01), duration (r= -0.03) or time since vaccination (r= -0.07) in the vaccinated group. There was a trend for levels to fall 7 years after vaccination. The mean methotrexate dose was similar between the two groups (vaccinated = 18 mg/week, non-vaccinated = 17 mg/week, p=0.94). In the preceding 10 years, 11 patients had pulmonary infections [vaccinated = 1 (vaccine administered after pneumonia), non-vaccinated = 7, p=0.0007]. Among RA patients who developed pneumonia, there was a greater percentage on oral steroids (pneumonia = 45%, no pneumonia = 9%, p=0.004). The relative risk for developing pneumonia among non-vaccinated patients was 9.7 (p=0.005) and among patients on oral steroids was 6.5 (p=0.001) after adjusting for age, gender, disease duration, and co-morbidities. These data demonstrate that vaccination of RA patients on methotrexate did not impair an antibody response to pneumovax (mean doubling of pneumococcal titers among those vaccinated). RA patients on oral steroids had a significantly increased risk of developing pneumonia, but patients with RA on methotrexate who received pneumonvax were 10-times less likely to develop pneumonia over a 10-year period than those not vaccinated. Finally, the antibody response was sustained for 10 years, although there was a trend for levels to fall after 7 years. These data re-emphasize the importance of vaccinations in preventing serious infections in patients with RA. Further, it suggests that prednisone, not methotrexate, is the culprit which may lead to an increased risk of pneumonia among these patients. Neither dose nor duration of methotrexate therapy had an impact on pneumoncoccal antibody titers over 10 years of follow up. Although this study cannot definitively answer the question regarding the need for re-vaccination after 5 years, it does suggest that the protective effects (at least the antibody response) may be sustained for at least this long in the setting of ongoing treatment with methotrexate. We recommend that all patients with RA discuss the pneumovax with their primary care physician and rheumatologist.